Lignin is the second most common polymer in earth’s biosphere (20-30 %), being the main sub-product of the paper industry and 2G bio-refineries. Mitigating greenhouse gases, energy independence and the promotion of rural development are key objectives in developing technology focused on biomass conversion. These aims have led to the construction and management of industrial plants that produce ethanol from cellulose, such as second generation (2G) ethanol plants. This process uses inedible biomass (such as straw from cereal, maize stubble and sugar cane residues) as a raw material to produce ethanol, reducing greenhouse gas emissions by over 80 % compared to petrol. 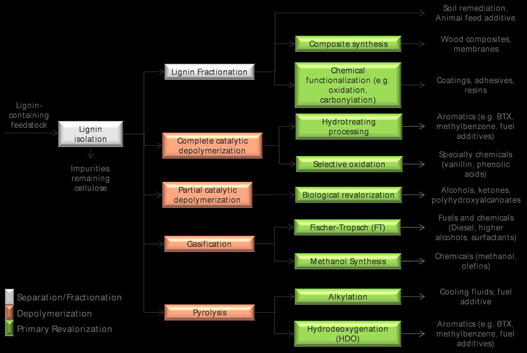 ” Lignin is a fundamental part of the biological structure of biomass. This new generation of 2G ethanol plants is the result of years of research and the optimisation of the chemical, enzymatic and fermenting processes required to convert agricultural and municipal waste into ethanol. For these technologies, the majority of research has focused on the extraction, hydrolysis and fermentation of cellulose and hemicellulose. However, much less attention has been paid to finding a use for the lignin fraction, which represents around 20 to 30 % of the total carbon contained in the earth’s biomass. This amorphous bipolymer is a fundamental part of the biological structure of biomass, but due to its specific characteristics its use at second generation ethanol plants is mainly limited to releasing the energy it stores through combustion. 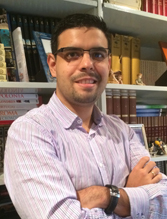 As such, there is a great potential to significantly increase the added-value of products derived from lignin to improve the economic viability of the process. Better uses of lignin can be found following cascade type processes where it is possible to purify it and break it down into small fragments that can be used as fuels and important additives for the chemical industry. However, the scale of some of these markets is relatively small, which means that strategies would need to be developed to convert lignin into high-volume chemical products (such as p-xylene, resins, carbon fibres, solvents & adhesives). Purified lignin can also be used at much higher volumes as a low-cost additive in construction and agro-industry. 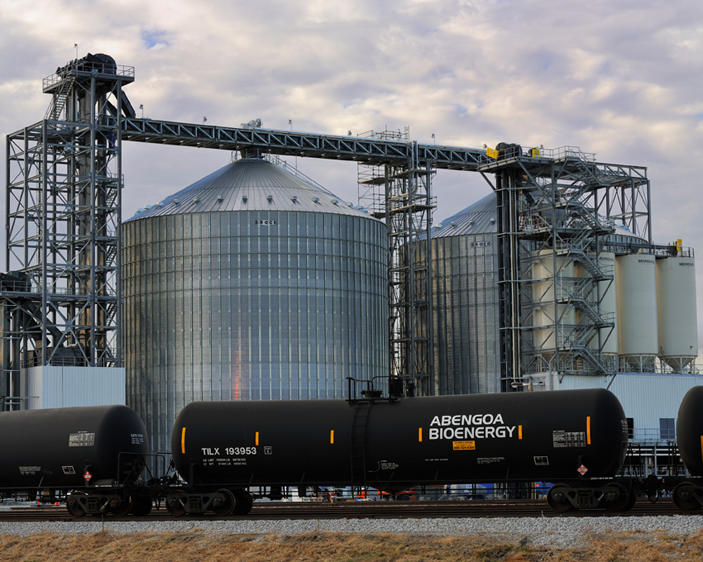 ” Abengoa is working on different strategies to use lignin, as well as adapting these strategies so they could potentially be used in second-generation biorefineries. This all needs scaling up from the laboratory to a pilot plant and eventually to an integrated industrial process to so that lignin can be used more efficiently. The diagram below shows the different alternatives available for this process. Abengoa is working intensively on many of these different options to find a way to convert them into industrial processes that are compatible with second-generation biorefineries.